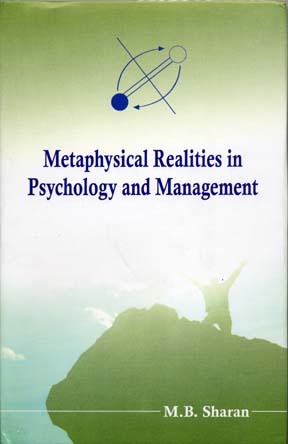 Here is the first book written on how metaphysics could influence management style. The author, a retired professor from Indian Institute of Technology, Kharagpur, has contributed several articles to Intuitive Connections Network, and they served as the basis for this groundbreaking book. We are honored to have contributed in some small way to his bringing his innovative ideas to a larger public. We are reprinting here the foreword to the book. Mathemathics, the Queen of the Sciences, is primarily a mental activity, drawing upon both rationality and intuition. One of the advantages of mathematics is the freedom mathematicians enjoy to explore the implications of impossible ideas. Mathematicians are free to begin with assumptions, or axioms, statements that cannot be proven, yet which prove to be very provocative by way of insights to which they lead. What passes for science as the twentieth century turns into the twenty first is based upon an axiom, an assumption, but unlike mathematics, it is one that is rarely put up for examination. The assumption is that reality is comprised entirely of matter, or of things and events which are observable by sensory apparatus. The results of persuing the implications of this assumption have been enormous, leading to major technological advances. Yet none of this scientific progress has led to any clues to such questions as "What is the purpose of a human life?" Instead, our technologically advanced science has led to our humanity's facing an out of control, clockwork universe, ticking, without meaning, toward its eventual, prewritten destiny. Science, as a form of human collaboration, arose distinct from another form of human collaboration, religious devotion. In the latter, all truths arose from the King/Priest. At the time of Copernicus, that King/Priest was the Catholic Pope. Truth emanated from the lips of the Pope, who had the sole authority to interpret the book of truth, the Bible. Truth was something passed down, authoritatively, from traditional sources. Science, on the other hand, was born of a democratic spirit, from the natural tendency of humans to want to share and compare their experiences. As a human enterprise, science proclaimed that truth was best discovered by direct experience and the comparing of that experience by independent observers. It took awhile, but gradually the ideal of sharing and comparing experiences was reduced to comparing quantitative measurements of material objects. What was an expediency to facilitate comparison became an unclaimed axiom of science: what is real is what is made of matter. Now let's supposed we took as a starting axiom, "what is real is what makes a difference in a person's life." Let's use that as a basis for sharing and comparing experiences. In other words, let's use that axiom as a basis for beginning our scientific explorations. To do so has major implications for what truths we may uncover. For example, it has been proven to the satisfaction of most logical, materialistically oriented minds that a proof of God's existence is not possible. Yet, if we use our novel axiom, we can say, without doubt, that the idea of God is a reality for many people and makes a tremendous difference in their lives. Alongside the materialistic tradition of science there exists another thread of the history of human collaboration. It concerns the methods, observations, and interpretations in the area of spirituality. For countless centuries there have been those individuals whose research has been of a more inward, intuitive nature. Many have written of their experiences. Others have studied these accounts and shown the commonalities and agreements existing among these "subjective" explorations. There is an empiricism of the mind, of inner experience. Different axioms spur different modes of exploration. To take an important example. Is the universe comprised of separate things that impact upon one another in time and space? Or is the universe a creature of a meaningful "here and now" eternity of unfolding awareness? It depends upon how one looks, or, in other words, the tools of observation that are employed. In a series of experiments, I compared what participants experienced when sitting facing one another. I directed them to use their eyes to look and examine each other. I also asked them to close their eyes, enter into the experience of their hearts, and "feel" the other person. These two modalities of observation resulted in two very different sets of data. In the first, participants could describe the appearance of each other. In the second, they were able to share some empathy for the subjective experience of the other. When they used their eyes, they saw that they were separate. When they used their imagination, they felt as if they were "one," and experienced empathy. I found that during their silent, "imaginary" conversations, they experienced such subjective events as images, feelings and memories, but which later corresponded to experiences of the other participant. There was a certain "objective," or consensus reality to their shared subjectivity (you can download reprints of this two-part study at http://henryreed.com/close2you1.pdf and http://henryreed.com/close2you2.pdf ). How is it that mathematicians, working purely intuitively within the subjectivity of their own minds can develop mathematical systems that later prove to be perfectly analogous to patterns in material nature? How is it that Edgar Cayce, who was relatively uneducated, could, from a deep intuitive trance, describe the molecular activities in the human body that provided the link between mental events and hormonal ones, processes that took decades of later medical research to discover and confirm his insights? May we infer that the same "creatively intelligent designs" form both the elements found in the mind and the elements found in the material world? If so, then by using the powers of the imagination to "perceive" realities that do not have an observable materialistic counterpart, we might scientifically proceed to understand some mysteries that traditional science has ignored. The current volume of extraordinary work proves that it is so. A dawn of a new era in science is upon us, and here it takes great inspiration from one of the oldest endeavors of human exploration known to history, the creative work of Vedanta, the ancient spiritual science of India. Director, Edgar Cayce Institute for Intuitive Studies.